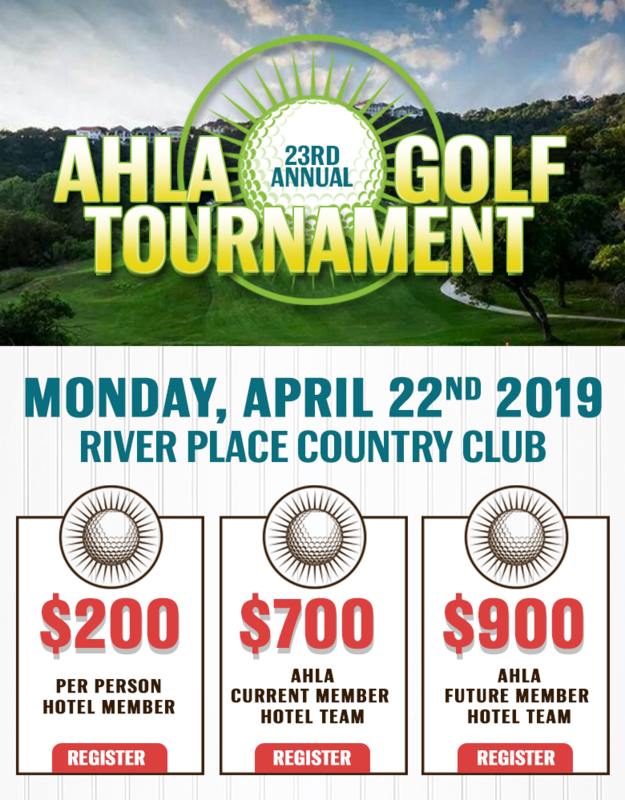 AHLA 23rd ANNUAL GOLF TOURNAMENT - Austin Hotel & Lodging Assoc. The day includes breakfast, lunch, auction, hole-in-one contests. closest ball to the pin and long drive. Please fill out form and we will contact you to collect payment. *Please type your team players names and handicap if available below. This unique accommodation offers the guest the chance to get in on the fun. Your level includes the chance to interact with hoteliers along with a non-competing allied member or business. Customize a sponsor ship that works for you.